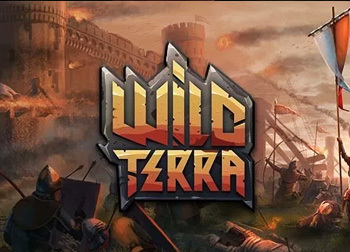 Wild Terra Online is a sandbox survival MMO or ‘massively multiplayer online game’ that is played from a top-down point of view. 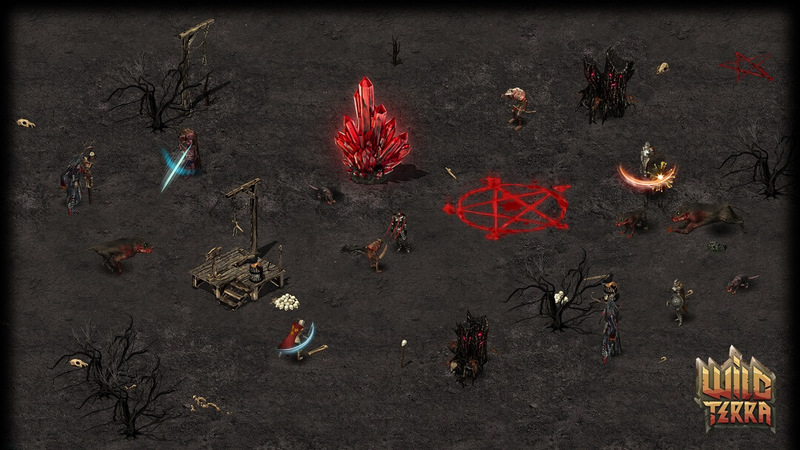 Players collect resources by hunting, gathering and fighting in the wilderness. Building a home and protecting it from other players may require some team work. Survival is no easy feat. 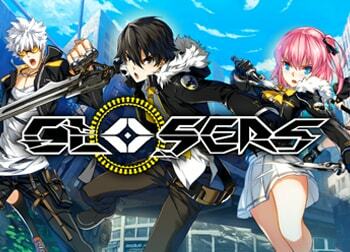 A universe created and controlled by players – The game does not have NPCs and pre-built cities. 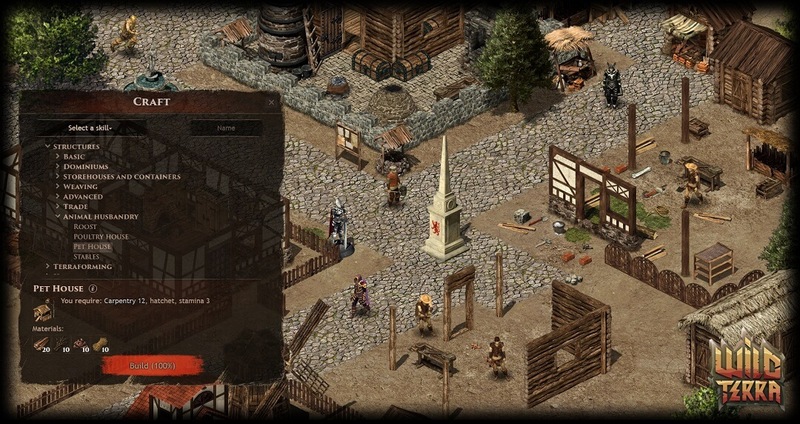 Players themselves cut down forests, build roads, and build cities. The ability to build anything, anywhere – There are more than 100 different buildings. From a campfire for the night to a medieval castle, furnaces, smithies, mills and other industrial buildings. 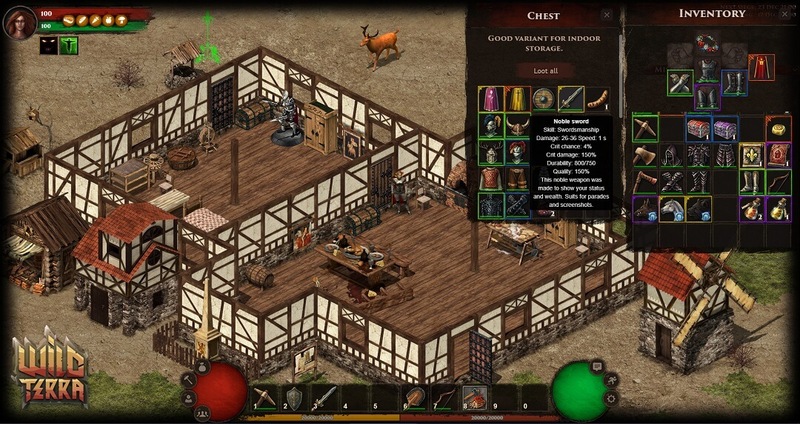 Developed crafting system – Craft clothes and armor, tools and weapons. Develop agriculture, farming, and cookery. 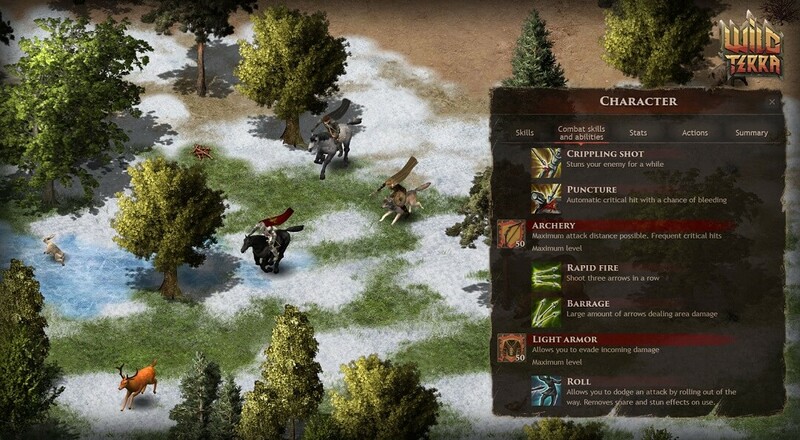 Skills are improved as they are used, allowing you to craft clothes/armor, tools and weapons of the highest quality. Auction House – Sell ​​created gear, exchange rare equipment among other players, and participate in bidding for guild castles. Exciting fights, the results of which are determined by your tactics, combat strategy, and skill level – In Wild Terra Online, increasing skills and the crafted level of equipment are minor contributors to the combat system. Competent use and knowledge of the advantages and disadvantages of equipment and terrain are the keys to victory. Hunting for treasures and fighting for mines – Embark on an adventure and fight with treasure guards! 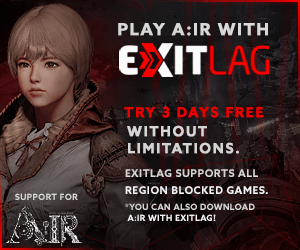 Join the battle with other players for the right to gather valuable resources.